Snapper has created a brand new payment category in New Zealand, based on small-value payments using contactless smart cards. A first for New Zealand, Snapper draws on the best of local and international expertise. In 2012 Snapper launched international ticketing technology business Snapper Services Ltd.
Snapper Services Limited provides a range of platforms that act as interfaces connecting existing ticketing systems to third-parties, allowing transport providers to offer modern, adaptable solutions to their customers including mobile reload and customer self-service. Snapper Services Limited was formed in 2006 and is a wholly owned subsidiary of Infratil Limited. Infratil is listed on the New Zealand Stock Exchange, and is an infrastructure owner and operator specialising in long-term sustainable ventures in renewable energy, airports and public transport in New Zealand and Australia. Snapper is powered by a team of world-class people, committed to making Snapper a design-led and customer-led organisation. The leading edge technology underpinning Snapper is from Korea Smart Card Company (KSCC). KSCC was established to install and operate Seoul’s new transportation system in 2004. The company operates the system, settles fares, and issues the contactless T-Money card and devices. The system handles 30 million transactions daily on almost 20,000 buses across 242 operators, 73,000 taxis and 8,000 metro train gates. 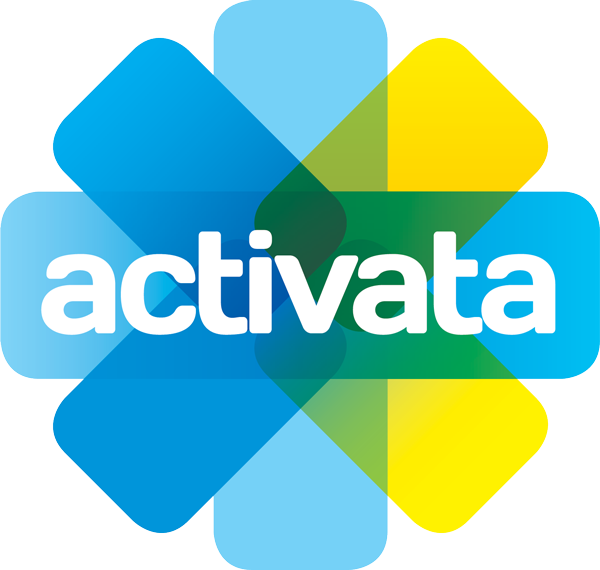 Activata is the prepay innovator, helping New Zealand retailers to sell the products that keep kiwis connected. From prepaid mobile top-ups to prepaid electricity, the best-selling phone cards to generic prepay currency, Activata offer content providers nationwide reach into the places that consumers go most often and we provide retailers the prepay products that keep customers coming back for more. Activata is New Zealand’s only kiwi-owned prepay network, focused on providing excellence in prepaid innovation, design development, consultancy and execution. Snapper started working with Activata in 2016 to support the Snapper retail top up network after Eftpos New Zealand announced they were turning off their network integration switch. Read more about the initiative and changes here. HTS Group has Australasian expertise in end-to-end ticketing integration and maintenance, with significant experience in integrating electronic ticketing systems for the public transport sector. ABnote is the Asia-Pacific leader in cards manufacturing and personalisation. From card design, pre-press, personalisation and packaging to in-store and consumer delivery, ABnote is positioned to provide efficient and effective quality card services and is quality driven and adaptable to changes in the card industry. ABnote manufactures and produces all card types – from paper through to plastics, laminated, PVC and polycarbonate – incorporating security, not only into the design, but into the finished card product as well. Snapper is a rapidly growing organisation and we are always looking for great people to join our team. This is no ordinary business – we’re developing New Zealand’s first and best open platform for everyday payments, making small change a thing of the past. If you have what it takes to make every day easier, then maybe we should talk. Looking for a job while you’re still studying that doesn’t require a hairnet? One that kick-starts your career before you’ve even left University? An opportunity to do real work and not just ‘practice’? Snapper is recruiting now for the Snapper Internship Program – and don’t worry, it’s paid! Our internship program provides the opportunity to work on real projects, doing real work, and with flexible hours that will fit in with your timetable and study commitments. You’ll be working collectively as part of a software development team, helping build awesome industry-leading products and undertaking exciting R&D activities. We don’t just want good people…we want great people! We’re looking for well-rounded individuals who understand and appreciate all software development, not just coding. Internships will be on a part-time basis during term (minimum of 12 hours per week) and full-time (minimum of 40 hours per week) during the holiday periods, with three terms per year. At the end of each term, we’ll evaluate and invite those selected to continue their placement. You must be in your final year of study to apply for the program. If you’re interested in jump-starting your career and getting real experience with a company that’s leading the industry on a global scale, get in touch with your CV or, for more information email: interns@snapper.co.nz. Looking for Snapper Services, our International ticketing technology business? Click here. Snapper Services Ltd (Snapper) is a New Zealand tech company working locally and internationally delivering service-based solutions designed to improve the customer experience and flexibility of transport ticketing systems. Snapper provides a range of platforms that act as interfaces connecting existing ticketing systems to third-parties, allowing transport providers to offer modern, adaptable solutions to their customers including mobile reload and customer self-service. Snapper is based in Wellington, New Zealand and employs over 40 people. Take a look at our full range of solutions here. Read about some of Snapper’s proven, in-market projects here.